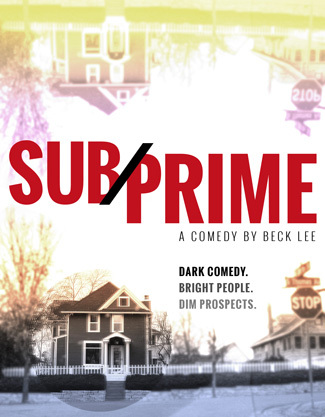 In the new dark comedy “Subprime,” two midwestern couples in denial about the state of their finances and their marriages travel to the Big Apple for a bargain vacation none of them can afford. Needless to say, everyone has a rotten time! The play has been in development in New York since 2012. Alice Jankell is the director. Those participating in readings have included Annaleigh Ashford, Tom Pelphrey, Emily Bergl, Celia Keenan-Bolger, Alison Wright, Joe Tapper, Carey Van Driest, Larry Mitchell, Rafael Albarran and Julian Cihi. With Ryan Conway of Davenport Theatricals serving as general manager, Media Blitz is shepherding this project to a first class Off-Broadway commercial production in 2016. A major industry reading will take place in Februry 2016. Investors and producers are encouraged to contact us.